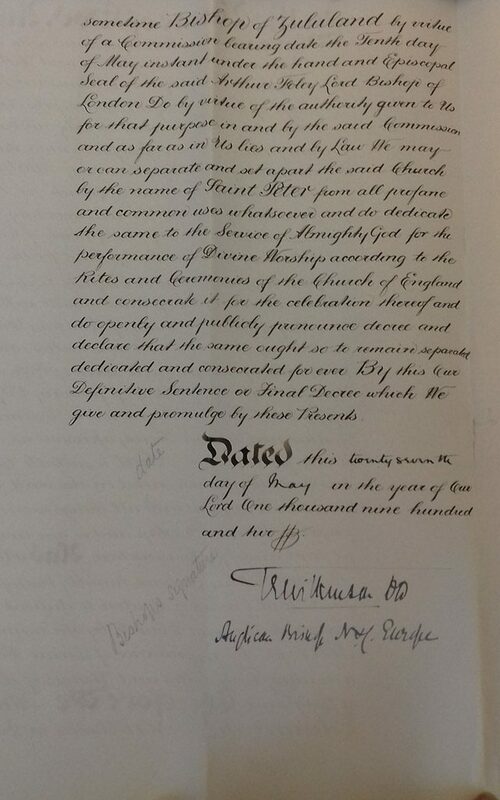 The photo below is a reproduction of the original document from T.E Wilkinson, Anglican Bishop of North Europe consecrating St. Peter’s on 27 May 1902. Dated this twenty seventh day of May in the year of Our Lord One thousand nine hundred and two. 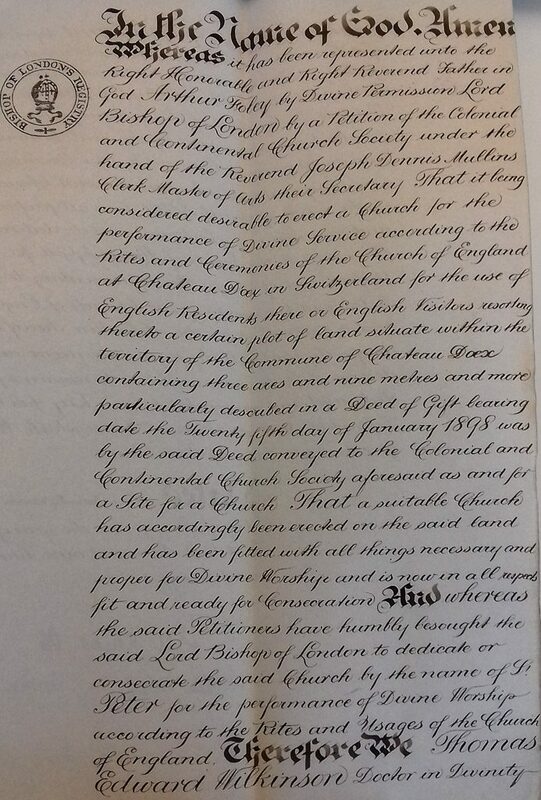 Anglican Bishop of North Europe.